Perhaps the most unique and intriguing prop bet of 2019 is whether Maroon 5 will play “Sweet Victory” from SpongeBob SquarePants during the Pepsi Super Bowl LIII Halftime Show. Will Maroon 5 play “Sweet Victory” at Halftime for a SpongeBob SquarePants tribute? 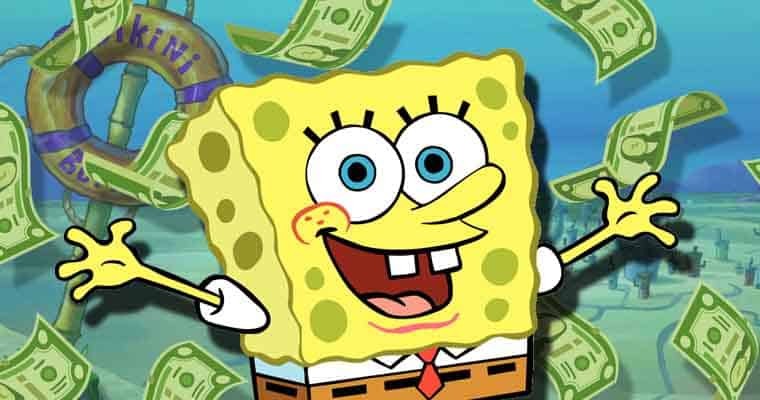 Now you may be thinking: What does the Super Bowl, Maroon 5, and SpongeBob have to do with each other and why is the “Yes” favored on this prop bet? Well, we’re glad you asked. So let’s explain why this bet has a high chance of paying out, so you can be swimming in the money. In 2001, the episode “Band Geeks” aired on Nickelodeon for the second season of SpongeBob Squarepants and would become one of the most beloved episodes in show’s history. However, SpongeBob feels terrible about not giving it all to make Squidward’s dream of performing at the “Bubble Bowl” a reality and convinces the citizens of Bikini Bottom to give the performance of a lifetime. Fast forward to late last year: On November 26, 2018, SpongeBob SquarePants creator Stephen Hillenburg passed away at the age of 57 from ALS. Shortly after, a petition to “Have ‘Sweet Victory’ Performed at the Super Bowl” was posted. Originally, many thought this would be a neat tribute but that it would never happen, and even the sportsbooks original line of Yes +500 indicates just that, but as of today, the petition has gathered nearly 1.2 million signatures. Then, just two weeks ago, Maroon 5 tweeted out their Super Bowl LIII teasers, which if you paused at the 0:32 mark, you can see a certain someone who lives in a pineapple under the sea. Additionally, Rodger Bumpass, the voice for Squidward has said he’ll have a small recording to introduce Maroon 5 as the halftime performers. At this point, you don’t need to know that mayonnaise is not an instrument to connect the dots here. Is it possible that it won’t happen? Sure, but every sign imaginable is point toward this tribute happening.